Well, the car will finally be finished today. After lunch it is ready and we head off to Tumut. 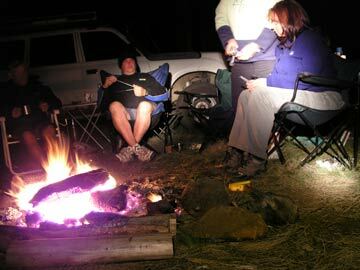 Our plan is to meet up with the others at Kiandra in Kosciuszko National Park or thereabouts. We refuel in Tumut and call Ray. We get through and figure out where they are camped. Less than two hours later we are at the campsite. It is located off the Bullock Track Fire Trail just past the Bullock Track Horse Camp (not the best spot to camp). This comes off the Snowy Mountains Highway 3.8 kilometres south of the Yarrangobilly Caves exit. 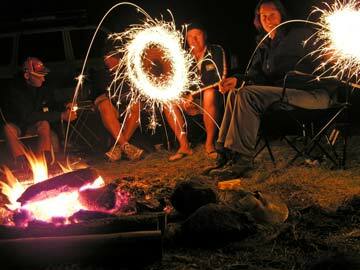 It is 1.3 kilometres from the highway to the campsite. It is a nice spot, selected mainly because all the formal sites are over-run with horse owners and their horses. We set up camp and soon the others arrive. Are we going to party? Yes, we need some relaxation after the tension of the past week. Kelly has a couple of bottles of French champagne that her sister has given us as well as some Aussie stuff. We cook dinner and spend the rest of the night drinking, watching the stars, satellites and shooting stars before celebrating the New Year. On New Year's Day we have a relaxing start due to the late night. The next day we do some exploring. First we head up Long Plains Road to Long Plains Hut. 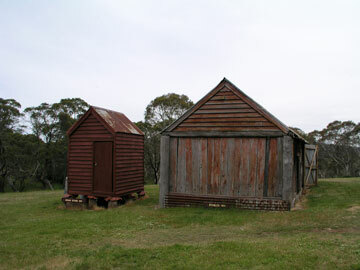 Luckily, all the huts in the Kiandra area except one survived the disastrous January 2003 bushfires that swept through this area. I was based in this area for two weeks fighting the fires as part of my work. A lot of hard work was put in by National Parks and Wildlife Service staff to protect the huts before the fire front hit (at this stage there was little Rural Fire Service involvement). See later about Kiandra. Anyway, this was where we had intended to camp but there are too many horse owners and their horses. 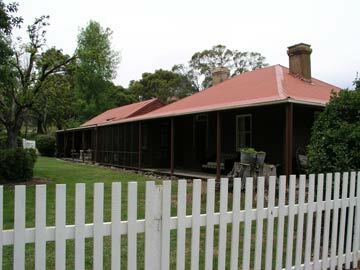 We head across on Port Phillip Fire Trail to Currango Homestead. This crosses the top part of Tantangara Dam which is of course, very empty. Just as you come off the edge of the lake (well where it would be if there was water in it), there is a shed with a steam engine in it. 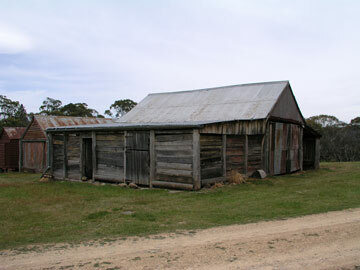 The old homestead has lots of buildings. These represent the various stages of the properties life and are quite interesting to explore. Some are now rented out for accommodation and there are quite a few people staying here, again, mostly horse owners. We try to do some exploring but strike locked gates. We head south back towards the Snowy Mountains Highway on Pocket Saddle Road and look at the dam wall. From here we head to the highway and take the road back towards our campsite. This whole section of national park was badly burnt by the fires. It is almost two years later and there is not one tree that appears to have started to regrow such was the intensity of the fire. 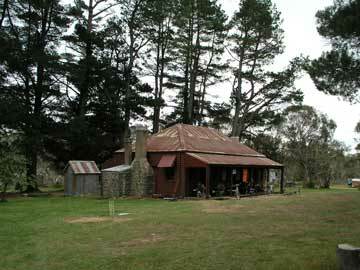 As we approach Kiandra we examine the ruins of the only hut lost in this section of the park, Delaneys Hut. I was in charge of a series of fire crews at Kiandra when the fire came ripping over the hill to the west and leapt across the valley to start fires on the hills to the east. It was truly frightening to see how quick it moved. I estimated at the time that the temperature was at least 35C and the humidity about 10%. Considering that this site is over 1100 metres high, that is simply astonishing weather. My guess is the fire jumped about six kilometres in as little as 20 minutes during this part of the fire. 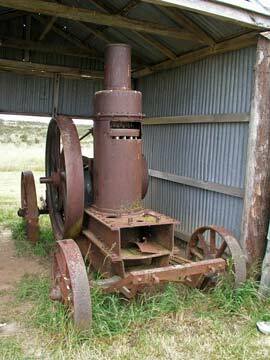 Kiandra was a gold mining town. 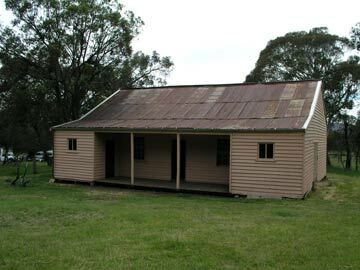 It was also the site of Australia's first ski "resort". 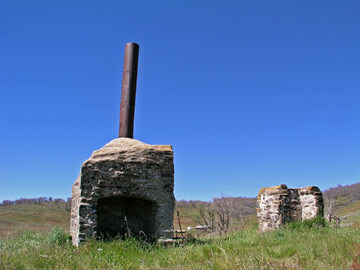 It is now a ghost town, with only the remains of a few buildings and their footings left. As you come out of the treed area, you look across a beautiful valley. 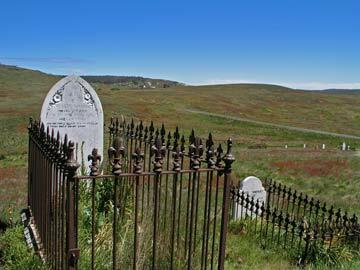 Just before the site is the Kiandra cemetery. This is worth a visit, just to see the age of the men, women and children who died here. We do not stop to explore Kiandra as the others have already done this and we will do it tomorrow. We head back to the campsite which is now only about 15 kilometres away. One of the most amazing things about camping in Kosciuszko National Park and at this altitude is that the skies are so brilliant. The stars are simply stunning, with so many visible. We see lots of satellites and shooting stars. Tomorrow night we see (from memory) at least 35 satellites pass over while we have a drink.